Pandora Moments Silver Sliding Bangle. 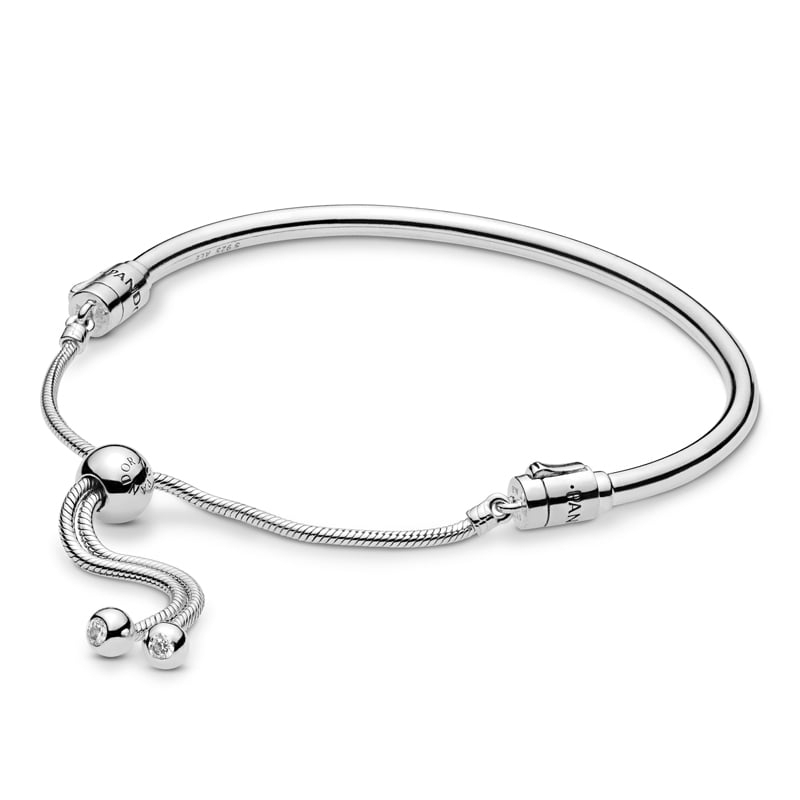 Complete with a sliding clasp, this bangle is a marvel in its functionality and design. It's sleek and contemporary design is perfectly complemented by the polished sterling silver finish.